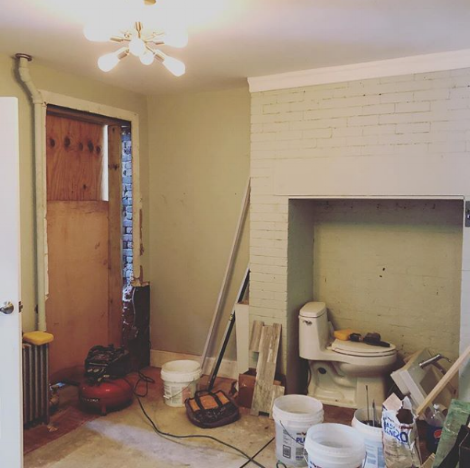 New trend alert - ðŸš½ inside the fireplace! This is a townhouse project in the messy, not so pretty, process of being renovated. The key in these narrow townhouses is to add light where you can so we turned a tiny window into a tall (soon to be) glass door. It added more light and an extra access point to the lovely yard. This project is making huge progress, canâ€™t wait to share more as we get closer to the finish line!